This year I arrived at Olympia from Kensington High Street tube station. It’s just a fifteen minute walk and feels more free and breathable than getting the overland train. As I passed some of the borough’s street signs, it struck me that W8 mirrors E8 if London were a folded Rorschach blot. The former postcode marks creamy stuccoed splendour with wide avenues, the latter designates working class terraces but also an emergent brewing epicentre. Hackney’s leases are beginning to rise by as much as 400% as the city creeps east. London eh? It’ll catch up with you in the end. When gaining on Olympia, you see the ambition in its Victorian stamp (built 1886). Massive steel-latticed arches haven’t been constructed like this since the monarch of empire passed away. The only problem is you can’t get the view the architect (the aptly named Andrew Handyside) intended because of the cramp of London’s built environment; the places where you’d stand to take a picture of Olympia face-on have been built on themselves. The only way is to get onto the upper levels of the buildings the other side of the railway track. I therefore have no image of Olympia as the oblique angle down the service road just doesn’t do the beast justice. I love entering Olympia and getting bathed in its soft platinum light. At the same time, you enter its echoing sound bubble – something well-tuned as the day wears on as glasses break to local cheers. 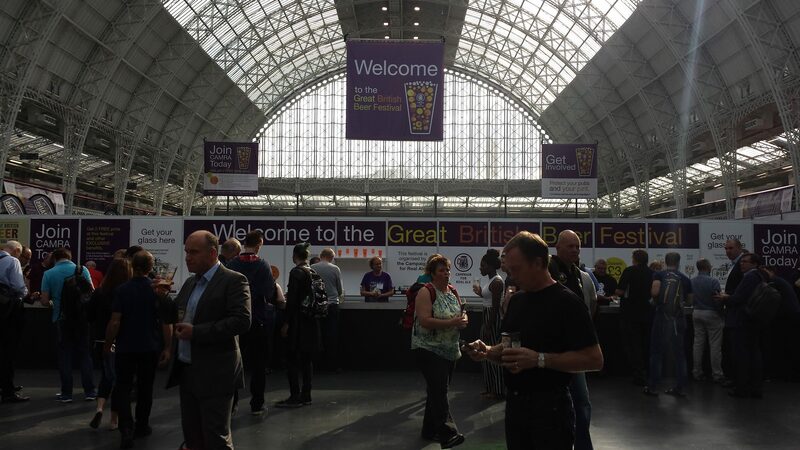 I like that the GBBF has come back down to earth this year with regards to its theme. This year each bar is named after a pub that has won CAMRA’s champion pub of the year so I felt a tingling feeling near The Harp bar. Last year the explorer theme felt a bit laboured – the banners hanging from the ceiling had curled up and there was a general feeling of fatigue. The circus theme the year before that was jolly but I couldn’t work out the connection it had with beer. But then again, I’m a grouch. 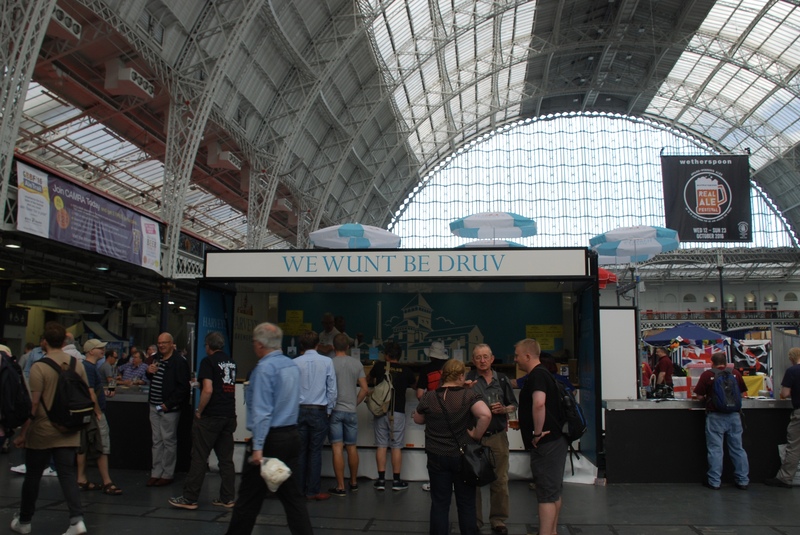 Harvey’s Brewery has come up with a heading based on Sussex’ county motto – “we wunt be druv” (we won’t be driven). Maybe it’s a fitting tribute to the brewery’s impermeable stubbornness through three centuries but it does sound like it’s being said by someone with a lobotomy scar spanning their scalp. In their new, more minimalist branding, they’ve also added an apostrophe after the “y” to the delight of grammar pedants. This little change also differentiates them from the popular furniture storeroom. 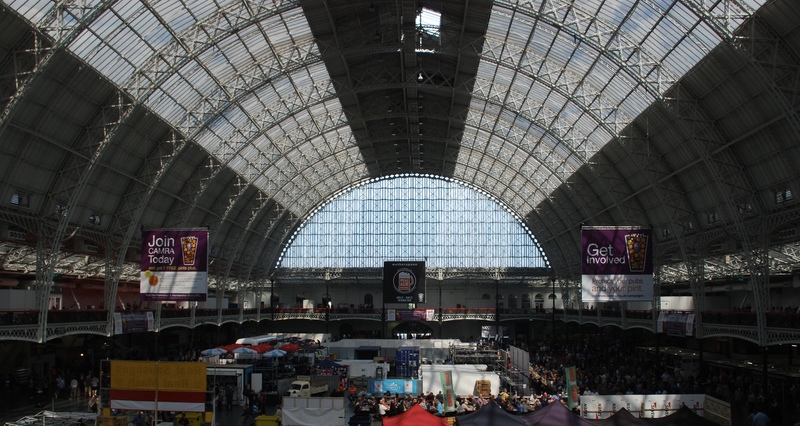 I had three glasses of beer from this bar – the Dark Mild, the Green Hop and of course Prince of Denmark – an ale worth the visit to the GBBF each year in itself. 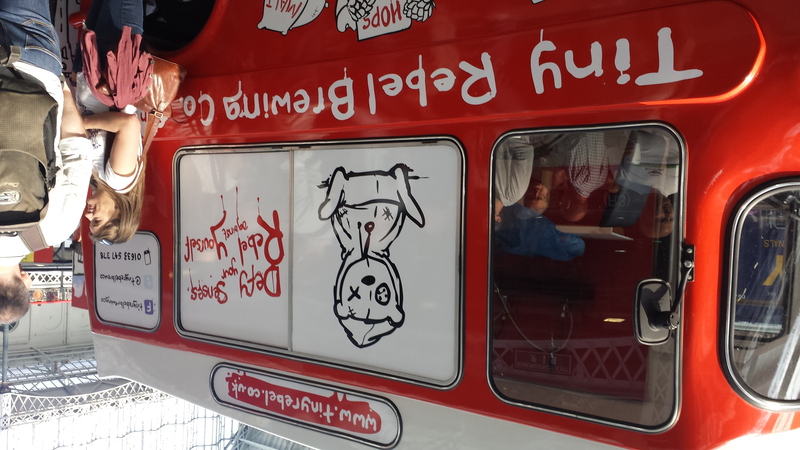 The Tiny Rebel bar demonstrates what can be achieved in such a small amount of time for a startup brewery (it started brewing in earnest in 2012). This presence is no doubt in connection with Cwtch winning champion beer of Britain last year. Following an article in the Autumn edition of CAMRA’s Beer magazine, the brothers are very careful to hold cask ale in high esteem and seem very much to want to keep CAMRA on their side in contrast to many new urban breweries. Maybe it’s about hedging bets: if British keg comes to Olympia they can exploit it. If it doesn’t, they can exploit that too. Their Loki Black IPA is delicious in any case. One of the simple pleasures of the festival is aimlessly wandering around. I love the characters that are drawn out each year – many look as though they were created by Tolkien – Middle Earth’s most hirsute snd wobbly. The upper gallery reserved 75% of its orbit to its VIP lounge, corporate, and other restricted events. In the 25% that remains for the general public, extra barriers have been erected to keep you about twenty feet back from the original railing. This is frustrating as it’s the only “aerial” viewpoint you can take of the festival by camera and you have to crop the barriers out of the picture later. You can’t take a shot downwards. Dark Mild, Green Hop, Prince of Denmark (Harvey’s), Menha Du (St Austell), Toasted Brown Ale (Aeronaut – American cask), Into The Mild (Cambridge Brewing Co – American cask), 1872 Porter (Elland), Cantillon (Cantillon – on keg), Loki Black IPA (Tiny Rebel), Alvinne Stout (Alvinne – oak barrel), Vintage Ale 2016 (Fullers) and Pine Porter (Rameses – Netherlands). My top three beers of the festival in no particular order were Fullers Vintage on cask, the aforementioned Prince of Denmark and Belgium’s Alvinne stout served from an oak barrel – it had a tart red wine nose but fruity portery body. Third measures are definitely the way to go. I found that in the five minutes before Fullers vintage ale was due to be pulled through at 16:30 (and it was – on the dot). I ordered a third from an adjacent bar and then had plenty of time to drink it whilst waiting in the queue for Chiswick’s finest. I left with a warm feeling that isn’t just the alcohol. It makes me think of when I was about nine years old and a keen palaeontologist (into dinosaurs). One year we took the trip by rail from my home in Bangor, North Wales to the Natural History Museum not far from this festival. I left with that same sensation of awe that I do when I leave here. The impossible size of the venue, the exhibits, the buzz. 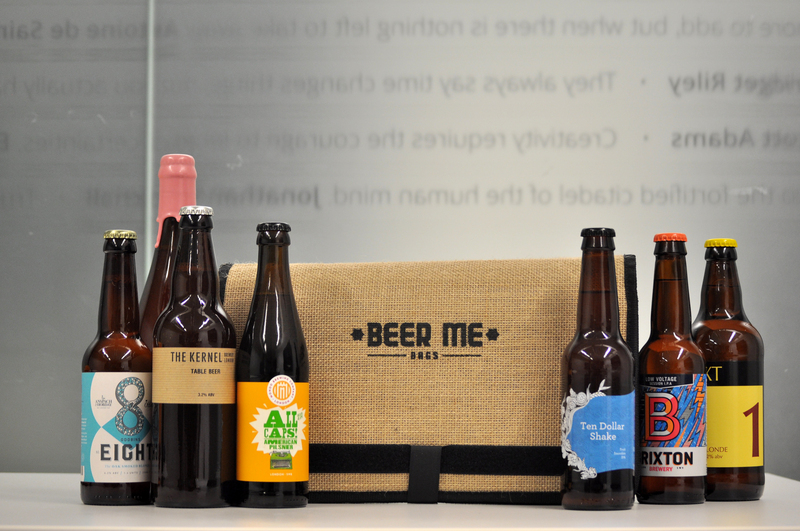 I think CAMRA is increasingly putting the pub at the centre of its campaigning – even above the primacy of “real ale”. From all the differing opinions I’ve heard about The Revitalisation Project, everyone seems to agree that saving pubs should be paramount. Maybe next year the bar names could either represent pubs threatened with closure or those that have been saved after a successful ACV campaign. Keep the focus on the pub!